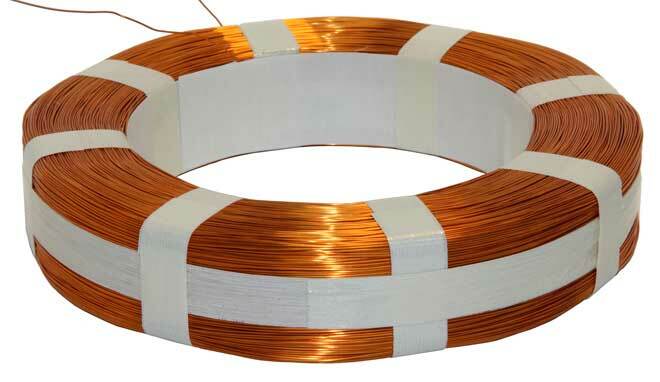 Badger Magnetics has been an electromagnetic wound coils manufacturer for over 62 years. Electromagnetic wound coils, or brake coils, are electrical conductors that are used in applications where electrical currents intermingle with magnetic fields. An electrical current is passed through a brake coil to produce a magnetic field, or an external magnetic field to generate electromotive force (EMF), or voltage, in the conductor. Our electromagnetic wound coils have numerous industry applications and can be custom manufactured in a wide range of shapes, sizes, mountings and materials. Wound, or brake, coils are considered a magnetic component mainly designed to reduce line voltage without experiencing a major loss of power. Badger Magnetics has an experienced engineering staff that can work with you to custom design an electromagnetic coil to comply with your requirements. Manufacturing capabilities include a full range of sizes and types of electromagnetic wound coils. Our capabilities include low or high volume production runs and prototypes. We offer a variety of custom wound coils including: brake coils, pot coils, dual wound coil, encapsulated coils, sensing coils, solenoid coils, magnetic coils, relay coils and de-magnetizing coils. Our custom wound coils can be either bobbin wound or free standing electromagnetic coils. Custom wound, or brake, coils are available with or without terminals and are wound with copper wire. As a manufacturer of custom wound coils, Badger Magnetics is the industry innovator providing practical and creative solutions for OEM’s, commercial and industrial applications. Badger Magnetic uses state-of- the art technology to provide quality products. Contact Badger Magnetics today to discuss your electromagnetic custom wound coil application.